Stephanie Copeland, joined the Governance Project and became a managing partner of Fourpoints Funding on January 1, 2019. Previously, Stephanie served on Gov. John Hickenlooper’s cabinet as the Executive Director for the Colorado Office of Economic Development and International Trade. Appointed to the Governor’s Cabinet in January 2017, she oversaw a host of divisions, initiatives and programs that support business development throughout the state of Colorado. Before this appointment, she served as president of the Zayo Group, a communications infrastructure services firm. She was previously COO at WildBlue, where she was responsible for the operations of the $500 million rural broadband business. Stephanie spent her career in the telecommunications sector in both the US and Europe. In the early 1990s, she moved to St. Petersburg, Russia, to take a management position with Cable & Wireless. She returned to the US in 1994 as part of the team that started MFS International. She joined the early team at Level 3 Communications in 1997, and in 2001, Qwest Communications recruited her to join its leadership team. Stephanie has served as a director for the Colorado Broadband Deployment Board, The Business Experiential Learning Commission, the Governor’s Blockchain Council and the Colorado Workforce Development Council. A Blackstone Entrepreneur, she serves as an advisor to early stage companies in Colorado. Erik Mitisek is the former Chief Innovation Officer for the State of Colorado under Gov. Hickenlooper, founder of Project X-ITE at the University of Denver and co-founder of Denver Startup Week. Erik is a serial entrepreneur who has worked in numerous industries across the public and private sectors. In his current role, he is innovating the digital space of the insurance market. We’re excited to bring Erik back for his second Western Colorado Economic Summit – he held a much-appreciated breakout session on creating a “no-coast tech hub”. Mike holds a Bachelor of Commerce degree from the University of Melbourne and an MBA from the Australian Graduate School of Management at the University of New South Wales in Sydney Australia. 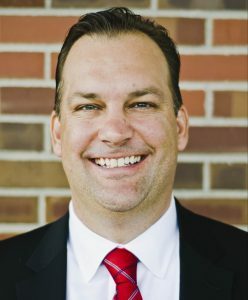 He began his career in the United States in 1990 as the executive director of the University of Kansas Small Business Development Center and adjunct faculty in the business school there before taking the helm of the certified development company located in Lawrence, Kansas, in 1997. In 2000, the opportunity arose to relocate to Colorado and join the nonprofit, mission-based educational lender, Colorado Lending Source, and begin expanding outreach and capital access to new and existing small business owners across the length and breadth of Colorado. Colorado Lending Source now offers four different types of loans, from $5,000 up to $5.5 million, and additionally provides back-office small business lending assistance to 54 community banks as a Lender Service Provider for Small Business Administration guaranteed loans. During 2018, Colorado Lending Source facilitated 221 loans to small business owners who created some 1,747 new jobs and had a $331.7 million impact on the Colorado / US economy.